Stratus R is an extremely versatile collection, both the metal structure and the decorations can be widely customised to meet the customer taste. 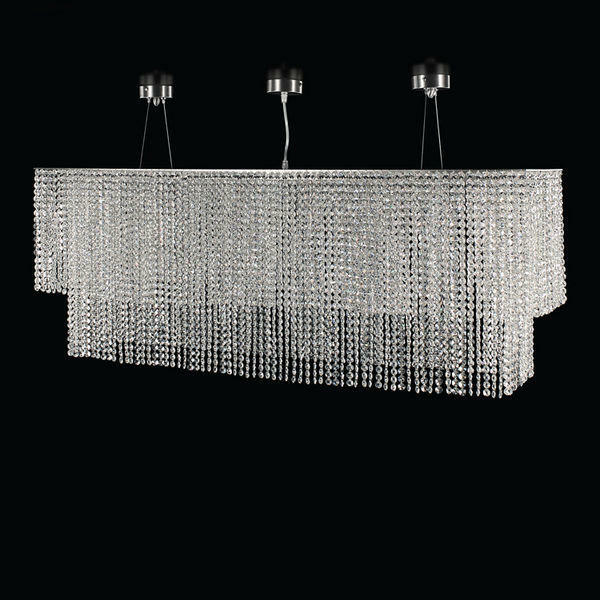 The Stratus R collection includes different types of lighting, such as ceiling lights and suspension lights; the structure can have various sizes. 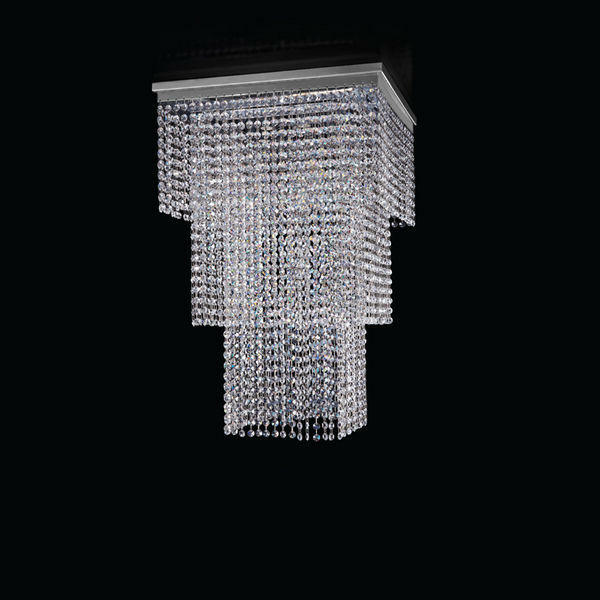 The crystal ceiling light Stratus R can be positioned above a table, but it can also be used as a module to decorate large spaces or for projects in the contract sector. 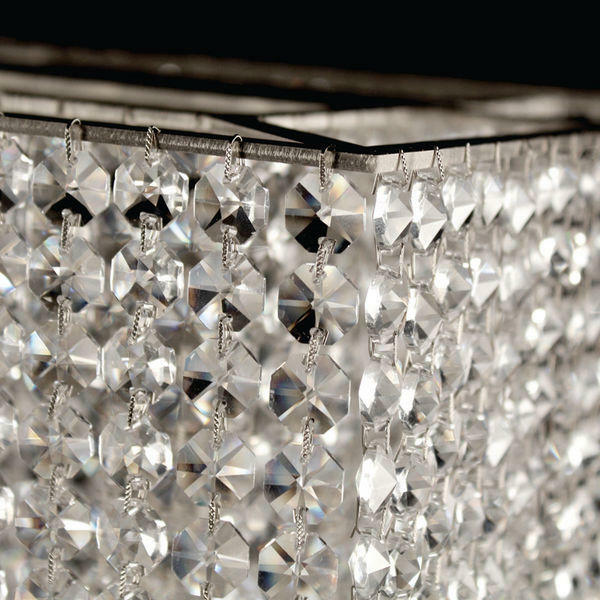 Also the number of crystal layers can be choosen by the customer; it determines the lenght of the lighting work. This allows to place Stratus R in rooms with high ceiling, but also to adapt it to small rooms.